When it’s time to purchase or lease a new or used INFINITI vehicle, it’s time to stop into Red Noland INFINITI in Colorado Springs! Our finance experts are standing by to aid you through the financial process and get you into a new or new-to-you INFINITI vehicle! No matter what your financial situation or prior credit situation, we will do our best to find you an except finance option for your next vehicle. We work with a variety of finance institutions that offer competitive financing rates and terms on our full selection of vehicles. We also have great resources on our website to help you out even further before you even arrive at our dealership. If you are not entirely certainly on what your buying power is, or how much you can spend a month on a vehicle, we offer a payment calculator to help you with the numbers portion of the finances. It is easy to fill out and lets you personalize all the financial information needed for your financing. We also have an extremely helpful trade-in estimator on our website, if you are looking at trading in your old vehicle at the time of purchase. The Kelley Blue Book Instant Cash Offer will allow you to input your vehicle’s details and get a market estimate on what your vehicle is worth. Check it out if that applies to you! If you are eager to start the finance process from home, we have our online financial application that you can fill out and see just how much you qualify for. This will get you started in the right direction to stop into the dealership to finalize your purchasing or leasing process. If you have any further questions, you can contact us at (719) 215-8318. Our finance experts are eager to help you find the best possible finance options for your specific situation. 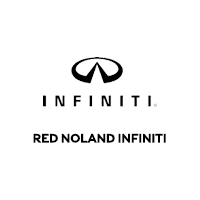 Make Red Noland INFINITI your choice for a new vehicle today!